My editorial in the newspaper. And Ellie's response. Yesterday a short bit I wrote ended up in the Buffalo News, which I've posted below, so you don't have to link over to read. If you've read my garden blog for any length of time, you'll see familiar themes in this editorial. My favorite part of my mini essay is the one response it got on the Buffalo News website--from Ellie of course. Ellie is one of Garden Walk's most fierce advocates -- not for its tourism aspects, not because it makes properties pretty, or it brings in outside money, or changes peoples perceptions of a much-maligned city, but because "...people are looking out for each other." Well said Ellie. 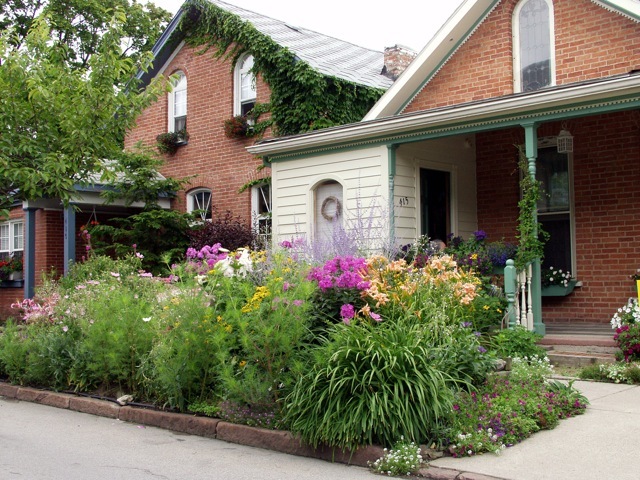 It's not just Buffalo's image that's changed because of our gardens, but Buffalo itself, as this article says. 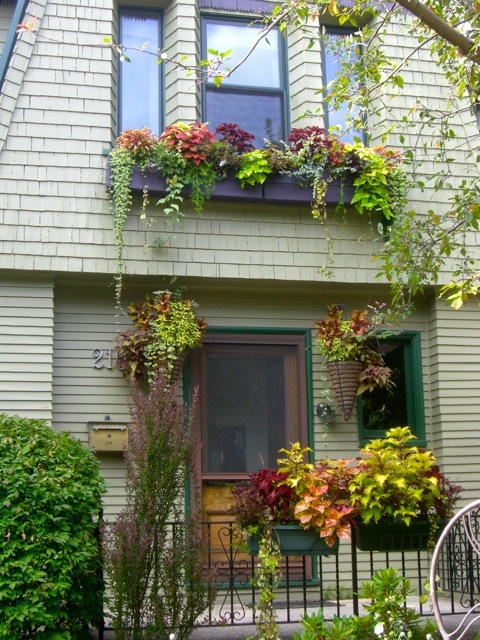 People who care for gardens also care for their neighborhoods, and often reach out and get to know neighbors, and feel their ability to change things. It's pretty much free (not counting the labor! ), it costs the city nothing, and it works better than any of the silver-bullet profit-making ideas that have us owing the banks and paying back interest for generations to come. It makes prospective homebuyers feel that, even if city services to a neighborhood are lacking, the neighborhood is safer because the neighbors are taking care of it and looking out for each other. When you think of cities known for their gardens, do any names come to mind? Savannah? Seattle? Portland? That’s precisely the area Buffalo could occupy in the minds of folks throughout the country. Don’t laugh. We’re making headway. When you already have the nation’s largest garden tour (Garden Walk Buffalo, Saturday and Sunday), one of the country’s most well-designed park systems (Olmsted Parks), a historic and stunningly beautiful botanical gardens, a five-week-long annual summer garden tourism event (National Buffalo Garden Festival), generous and philanthropic landscape pros (WNYS Nursery &Landscape Association), 13 other local garden tours, dozens of gardens published in national magazines and a thriving and growing gardening culture/ social network, you’re already just about there. ZIP code collection by Visit Buffalo Niagara during last year’s Garden Walk Buffalo indicated that 24 percent of attendees came from outside Erie and Niagara counties. A survey showed an average of $68 was spent by each visitor on food, tickets to other culturals and incidentals. With crowds estimated at 50,000 to 55,000, that means a direct economic impact of $3.4 million to $3.7 million. 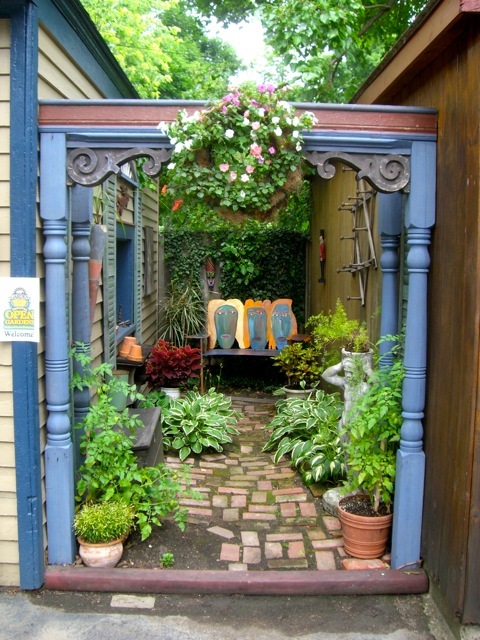 The National Garden Festival Open Gardens today and Friday, gardenthemed bus tours Friday and other privately organized tours have shown the popularity of visiting private gardens. 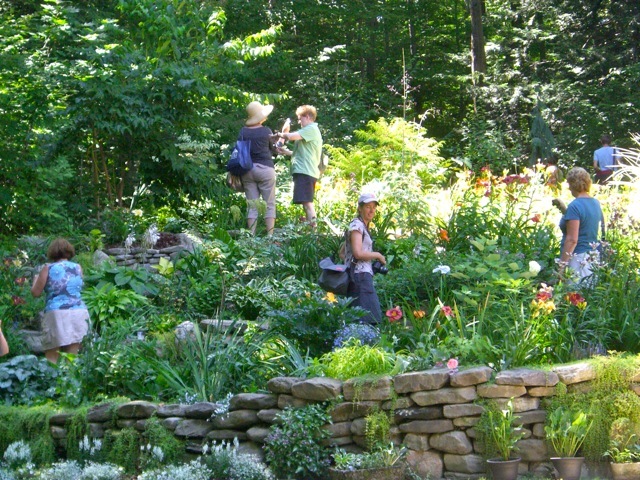 These, and buses from Pennsylvania, Ohio and Toronto for Garden Walk Buffalo, have created a garden tourism industry where there was none two years ago. 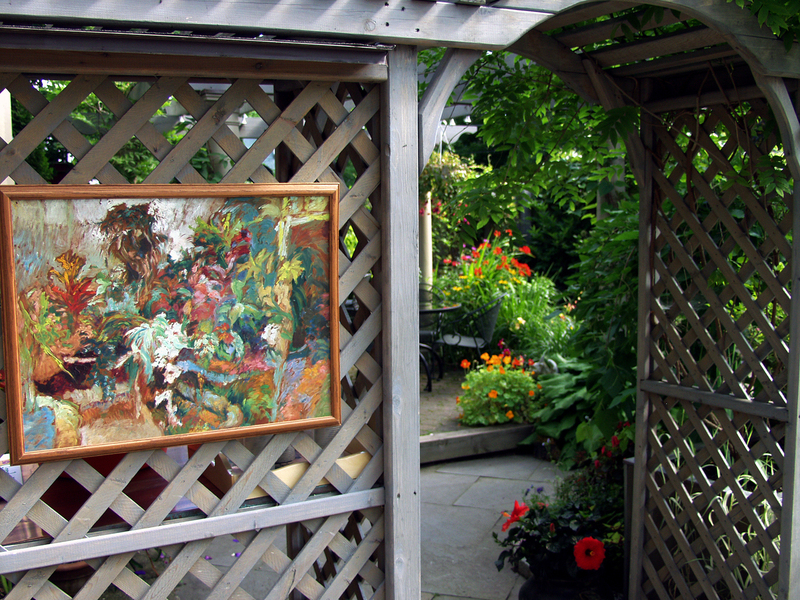 The seed for our horticultural tourism was planted in 1995 when Marvin Lunenfeld and Gail McCarthy brought the idea of a garden tour to their Norwood Avenue block club. The 29 gardens have grown to 372 gardens in 2011. 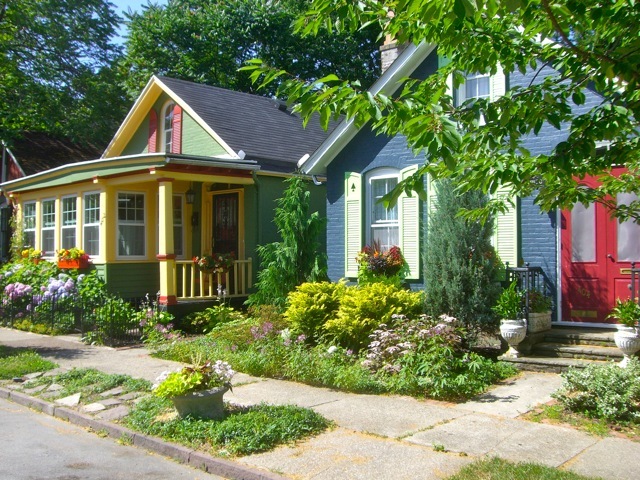 Whole neighborhoods on the West Side have been improved, housing values in Garden Walk neighborhoods have increased, streets are more walkable, Buffalo looks beautiful, visitors are awed — and Garden Walk has given more than $30,000 in grants back to the neighborhoods for gardening beautification projects. 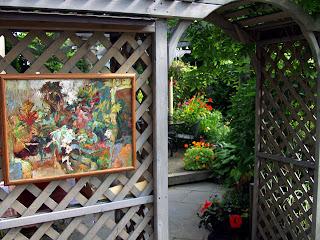 Did I mention Garden Walk Buffalo is absolutely free? Even the shuttle buses are free! All thanks to corporate sponsors and generous donors — with no government support or funding. An event like this could not happen in many other cities—our greatest horticultural asset is our freakishly friendly gardeners, inviting sometimes thousands of visitors into their gardens. When you visit them this weekend on Garden Walk, please thank them for all they do for Buffalo. I tell anyone who will listen that Buffalo’s Snow Belt/Rust Belt image will not be changed by witty ad campaigns, clever taglines (this, coming from an ad guy) or politicians, but by our generous and creative gardeners. 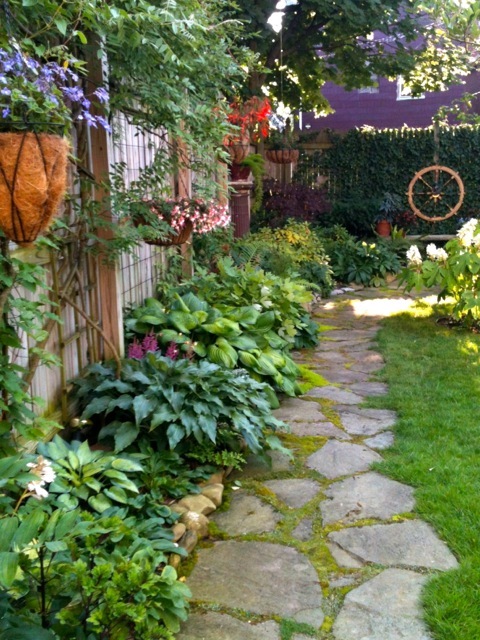 Jim Charlier is president of Garden Walk Buffalo and a member of the planning committee of the National Buffalo Garden Festival. Great article and response! I think the big word missing in both is "community" because you're not just improving the economy or beauty of Buffalo - you're also building community which is a beautiful thing all by itself. Best of luck this weekend! I'm willing clear skies and gentle weather in your direction! 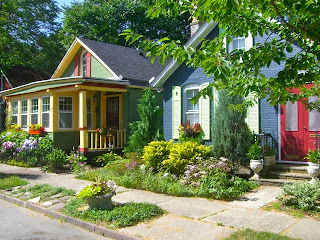 What a wonderful articulation of what gardeners contribute to a city. Your editorial should be syndicated.